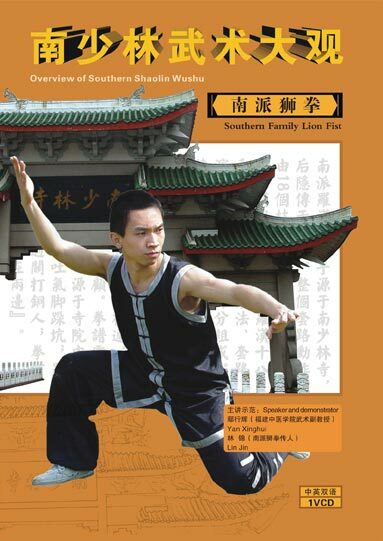 Southern Family Tiger Fist, is originated from Southern Shaolin Temple at the beginning,then expanded in society. The fist is the imitation of Lion actions, lion roars ball embracing,hair shaking, claw exploration, pouncing and rolling, for example. The fist is called Southern Family Lion Fist, who is full of the characteristics of Southern Boxing. this you can improve your lion palm force. 27 actions all together, whose behavior like a lion, so called Lion Fist. It has vivid principals, horrible lion roars and aspiration makes the mountain shaking. Beautiful fighting figures with excellent lion tiger fierce showing. The script says, ‘Lion roars, echo in the mountain threaten all animals. Lion claw out, heart, lung and liver destroyed. Strong in prey, just simple like ball playing, no one can be safe under his eyesight.